Peter Manfield brought the Village Nurseries in 1995 at that time it was a small seasonal nursery raising bedding plants for the local retail market and also growing Alstroemeria for cut flowers. Peter had been employed as Plant Area manager at a Garden Centre in Kent after gaining horticultural qualifications at Pershore College of Horticulture. 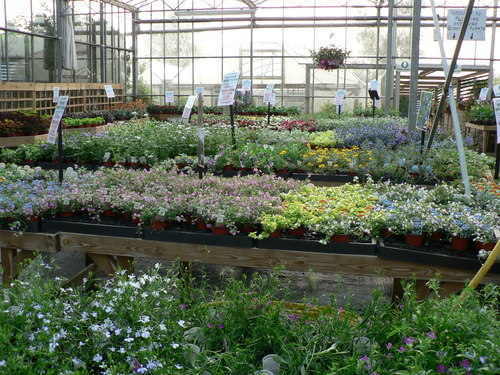 The Nursery has steadily developed to its present size and now boasts an impressive 10,000 square feet modern computer controlled glasshouse with a similar sized range of polytunnels and a large outdoor area devoted to hardy perennials etc. All the plants we sell are grown on the Nursery and this enables us to offer a much greater variety than is generally available. 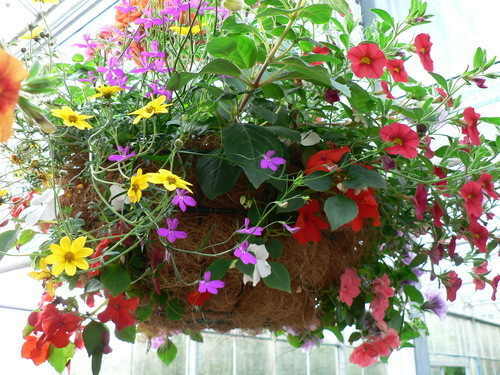 We can also provide plants of excellent quality at prices which are extremely competative. In addition to plants we sell a complete range of garden sundries plus seeds and bulbs.We also have a superb range of terracotta pots and bird care products. A feature of which we are very proud is our Floristry Department. This has its own conservatory complete with air conditioning and we provide a full floristry service with our speciality being wedding and funeral flowers. We can also deliver flowers in our local area. Please visit our own online floristry shop for details. The Floristry department is overseen by Peter's niece Sally who is a Brinsbury College trained florist and Peter is assisted on the nursery by his mother Sheila who has many years of experience of nursery and garden centre work. His father Roy, a retired bank manager, helps out on administration and general duties. Together we provide a very experienced team dedicated to giving our customers a friendly efficient and quality service which is second to none.